Stenhousemuir won their first league game of the season with an ultimately comfortable victory over Arbroath. There was only one change to the starting eleven from that at Peterhead with Iain Diack after a couple of impressive performances as substitute replacing Craig O’Reilly. Games against Arbroath in recent years have been strewn with bookings or dismissals and this proved no exception with the main talking point of the first half being the number of bookings for dissent by Stenhousemuir players with Gary Thom, Kevin Motion and Willie Lyle all being cautioned for the home side after disputing the actions of the referee Thomas Robertson. Indeed Lyle was maybe fortunate not to be dismissed before the end of the half and this was possibly a factor in his substitution at half time. The Warriors had came close to taking the lead during the first period without threatening on a consistent basis and Scott Dalziel just failed to meet a Stephen Thomson cross. This was after the teams had competed for a drop ball in the Stenhousemuir half of the pitch. Arbroath responded with a Steven Rennie effort that went wide from the edge of the box. Scott Dalziel almost scored in 18 minutes sending the ball just wide after a move started when Lyle handled the ball and everyone stopped including Lyle before resuming play as the whistle was not forthcoming. As the half progressed Motion and Dalziel came close whilst at the other end Chris McCluskey was alert to the threat of a Steven Doris through ball to Steven Hislop and thwarted the danger. At half time there was no scoring and it looked as if Arbroath would have the upper hand with the wind at their backs in the second half but that was not to be the case. Stenhousemuir changed personnel and tactics at half time and they were rewarded in the 50th minute when Jordan Smith headed home an Iain Thomson freekick. The Warriors swept forward after this and almost doubled their lead in the 54th minute when Motion cracked an effort off the post and Diack fired the rebound over. The home support did not have long to wait for the second goal though as Iain Thomson headed a Dalziel cross into the net from the edge of the box. Stenhousemuir continued to half the upper hand and Darren Hill denied Motion with a stunning save from a volley by the Warrior to keep Arbroath in the game. The points were finally secured in the 75th minute with Iain Diack finishing off a move involving Dalziel and Scullion that even this early in the campaign would be a goal of the season contender. There was to be no way back for the Red Lichties who were kept at bay quite comfortably by the Warrior’s defence to such an extent that McCluskey made his first save of the game in stoppage time denying Bryan Scott a consolation goal. 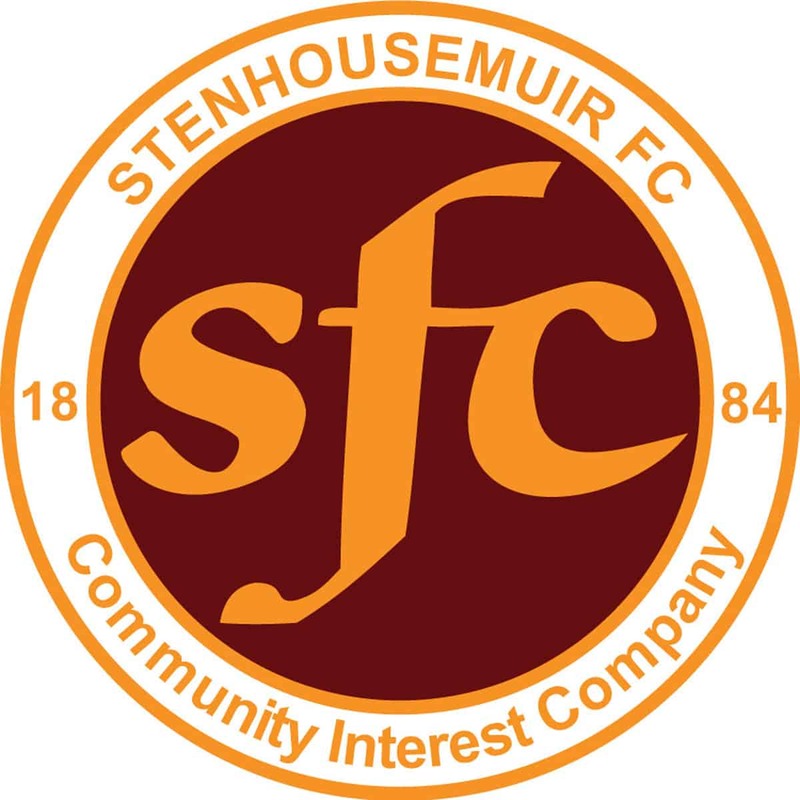 Stenhousemuir – McCluskey, Lyle [b37][Bradley h/t][b60], S.Thomson [I.Thomson h/t], Thom [b8], Smith, McLeod, Molloy, Scullion, Dalziel [b51], Diack[b75] [O’Reilly 89] and Motion [b31]. Subs not used – Love and Bennett.